Products of Design MFA student Emi Yasaka's thesis, entitled “In The Running,” examines the barriers to physical fitness in contemporary life. The project was inspired by her own running journey, as well as her experience with a local community running program catering to underserved. Developed through environmental, cultural and social lenses, as well as through perceived motivational factors, inner-city youth, the thesis resulted in three principal offerings. Her first intervention point, Huddle, is an information and place-making station. The core concept is to promote the use of the lesser-known parks that exist near low-income neighborhoods, and to encourage residents to frequent these parks. Huddles are comprised of visually striking objects and public elements that influence the navigation and flow of the park—providing visual cues to initiate activities for visitors. 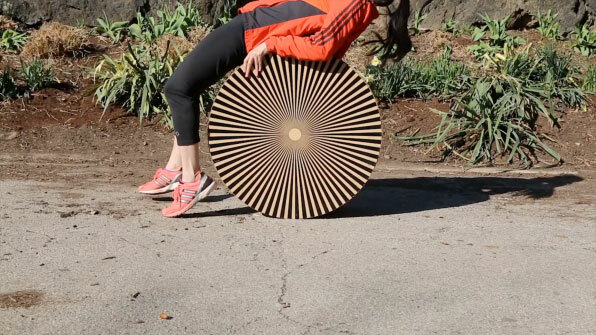 One example, a drum­like object with a 3D moiré pattern, engages users by creating a mesmerizing optical illusion when it is rolled. 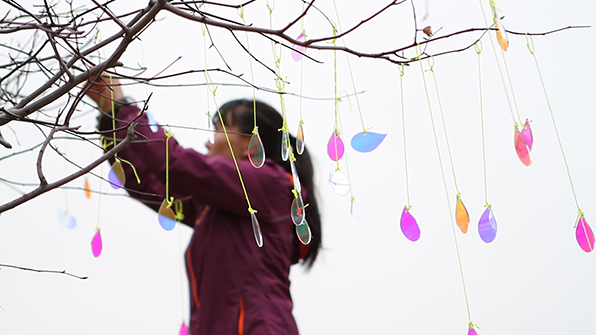 Site-specific and deliberately public, huddle elements are interactive and playful in nature, encouraging users to incorporate body movement without making them “feel” like their exercising. Emi’s second intervention, Torch, was catalyzed by an interview with Tracy E. McMillan, past president of Team USA Arizona, and a co­founder of Adidas McMillan Elite. Taking the form of a mobile app, Torch is a collection of inspiring stories of local runners aimed at motivating people everywhere to run. Users enable location services on their device—or input their zip code—and the app pops up a selection of biographical stories of local athletes specific to that geographic location. After listening to a story, users can tap to try out that local athlete’s specific workout, or listen to more stories. The app has several social features aimed at creating an active social group that forms around an inspiring local athlete. From an historical perspective, Torch is a platform that delivers stories of lesser-known athletes—often-overlooked, or unheard through traditional media or the larger popular sports industry. Her final work, Pacer, was inspired by her research and observation of the NYC dog community, and by the city’s unique geographic layout. 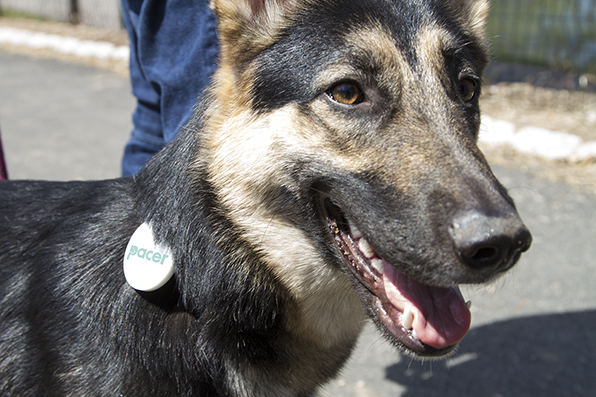 Pacer is a dog running service that offers non-­dog owners the positive psychological and health benefits of dog ownership by providing them the chance to exercise with a dog—and receive payment for it! The service is useful for people who need extra motivation to get outside, and for those who are self-conscious, preferring to exercise by themselves. Dogs, by nature, love to be active and outdoors, so they make for very faithful exercise partners. Pacer provides a personalized and enhanced dog exercising experience by allowing the dog owners to suggest where the dog runner takes the dog. The running route is trackable via RFID chips embedded in Pacer dog tags and check-in stations, and the platform addresses the trust factor through user profiles and reputation ratings. 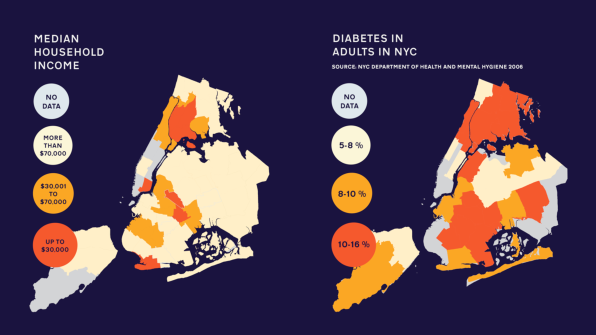 Through the design of environments to activate space, mobile applications to build supportive communities, and lowering perceived barriers to exercise, Emi hopes to reimagine a more invigorated lifestyle for the general public and its less-advantaged populations. She believes in a pluralistic expression of design, and envisions a future where human mobility is more highly valued and celebrated through design. Read more about the project, including subject matter experts and research protocols in the PDF above. See more of Emi Yasaka’s work at her website, www.emiyasaka.net and email her at eyasaka[at]sva[dot]edu.